The post break up stage is probably the most emotional roller coaster ever. It is more of a bumpy ride than actually being in the relationship was. First, you are sad, then you want revenge, then you want to catch feelings with a rebound; then you are sad again – not to mention you’re lonely AF. When you get over the first wave of sadness you will want to seek revenge on your ex which will lead you to seek a rebound. Here’s the thing, rebound relationships are never successful. The reason for this is because you can’t be with someone if you are hung up on someone else. The excuse that you are just in the rebound relationship to make your ex jealous is not fair either because now you are involving someone else’s feelings. That is not right for the third party involved. And, even if you are going to use this excuse and say that it is just a rebound, the odds of you not catching a few feelings are really slim, especially since you are already a vulnerable and emotional mess from your last relationship. You end up being in a relationship that you don’t want to be in, which just leads to more emotional problems down the line. So the big question is – how long should you be single before starting a new relationship. Disclaimer: New relationship does not mean rebound relationship. You should be single as long as it takes until you can confidently say you no longer have feelings for your ex and are at a good place with him or her; whether this is just on civil terms or as friends. Even if you decide to not involve your ex in your life any further, you need to get to a place where you have no ill will or anger towards your past relationship and your breakup. There really is no way you could ever devote yourself fully to one person if you still really love someone else. This is something that takes time. You really can’t go from loving someone for so long to having no interest in them overnight. It is completely okay to need time to get over your ex. It is so normal, and you should never feel like it is not. If walking by a coffee shop or restaurant brings back memories of your ex in an instant, you most definitely are not over him yet. You need to remain single until you can confidently walk by these places without being flooded with memories of your ex. You don’t want to bring any energy from your past relationship into your new one, especially if you want it to be a successful one; therefore you need to be completely over it before moving forward. You have to make peace with your past if you want a successful future. You also need to remain single long enough until you have enough confidence and love for yourself as a person. This is the key to starting a new relationship. 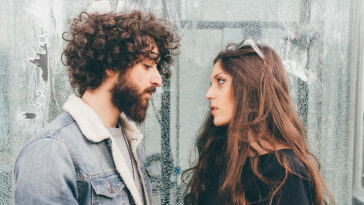 After going through the emotional roller coaster of a break up it is common to feel less confident in yourself and as if you are constantly in the wrong. The key to any successful relationship is loving you first. This is so important and something that needs to be put into practice before moving forward.